When it comes to your heating and air conditioning system, are tune-ups worthwhile? Sometimes we all fall into the "out of sight/out of mind" trap, but did you know that could be costly and dangerous when it comes to your HVAC system? The average HVAC unit runs approximately 2000 hours a year and should be regularly maintained to ensure you are getting the most out of your HVAC system. By properly maintaining the HVAC system in your home, you make sure your home is safe and extend the longevity of your heating and cooling system. When neglected, your HVAC system can cost you more money out of pocket by being less efficient, resulting in wasted energy, shortened equipment life, and untimely, expensive breakdowns. With regular tune-ups and filter changes, your system will have fewer service problems, and you'll benefit from lower energy bills. Your system will be safer for you and your family, and you will help keep your manufacturer warranty valid. Some contractors offer inspections, but do not perform much work beyond that. Other companies like Oliver, do testing, inspecting, and cleaning of the system. In Oliver's case, technicians make adjustments to certain components to ensure optimal efficiency. Oliver has used trust as the cornerstone of its business and after hearing satisfied customers sing praises, it's easy to see why the company comes so highly recommended. 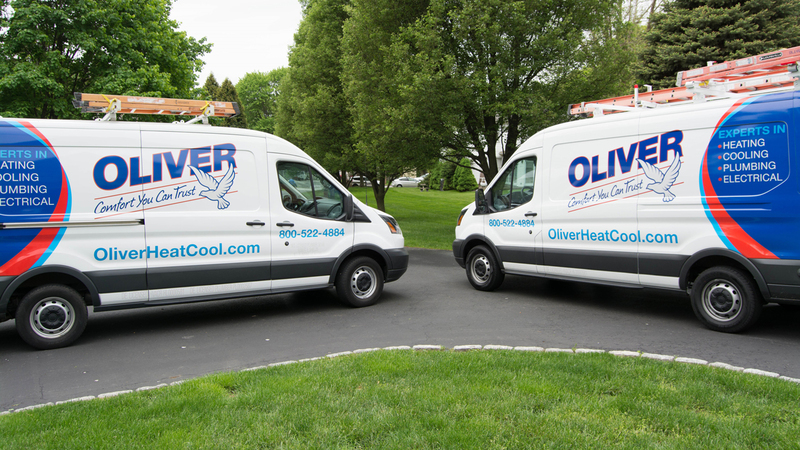 There are a variety of options for you to maintain your system with the help of the certified technicians at Oliver Heating, Cooling, Plumbing, and Electrical. From stand-alone tune-up appointments to cost effective maintenance plans, there is a solution to fit any budget. For more information or to schedule your appointment, call 1-800-522-4884 or visit TrustOliver.com today!